Unless you’ve lived under a rock the past few years, you know that Zumba Fitness is a Latin dance fitness class that has taken over the world. Unless you are a newer reader of this blog, you probably also know that I am a licensed Zumba instructor and I teach 3 classes a week at 24 Hour Fitness. This week, as we look into Zumba as another option for fitness other than running, I thought I’d give you my tips for choosing a great Zumba instructor. 1. Most importantly, be sure your instructor IS licensed! Sounds crazy, right? There are tons of people out there calling themselves “Zumba Instructors” who are not licensed. 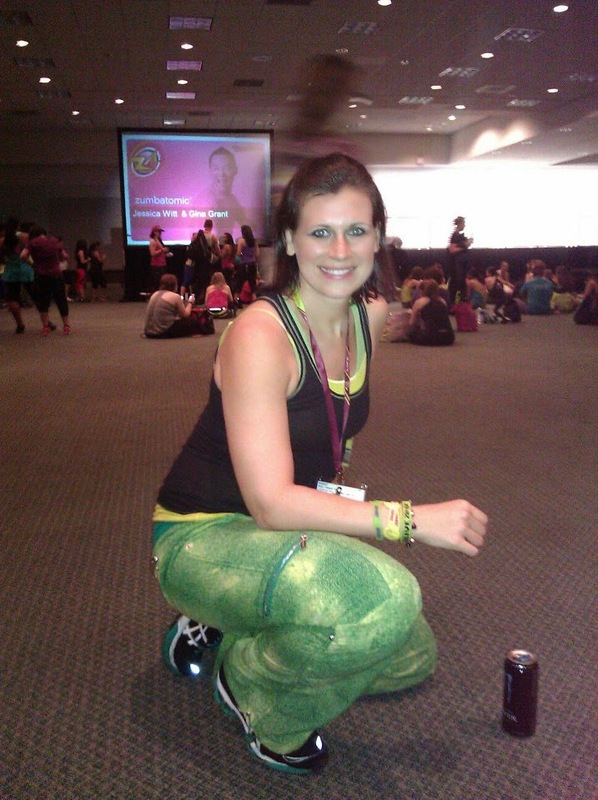 There are even people doing “trainings” that are not actual Zumba trainings! Crazy! It’s really easy to check: If you logon to www.zumba.com you can search for your instructor. You can check out my page HERE. 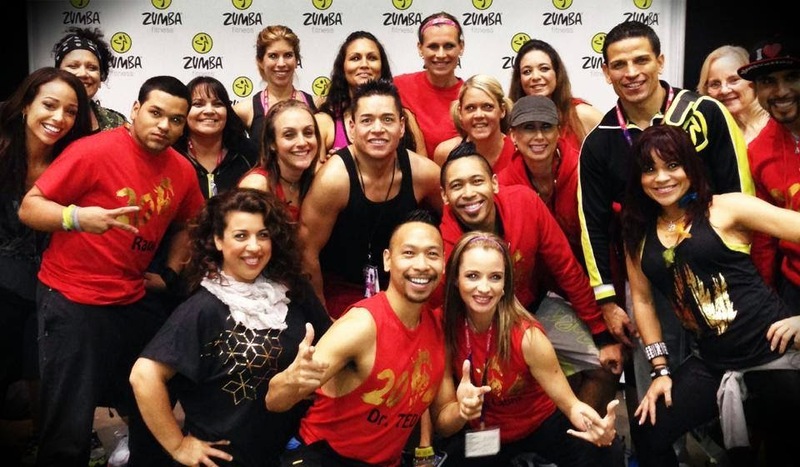 You may also hear it/see it referred to as the instructor being part of “ZIN”, the Zumba Instructor Network. The site will also tell you all the specialty areas the instructor is licensed in as well as some trainings they attended, like the national convention or conference. I get on a soapbox here, too, because it’s one of those “I take my job very seriously, and it really irks me when other people portray themselves falsely”. Yes, I pay money (a lot of money) to stay licensed and to continually educate myself on both this format and fitness in general. Now that that’s out of the way, let me step off the box and let’s get onto some fun parts! 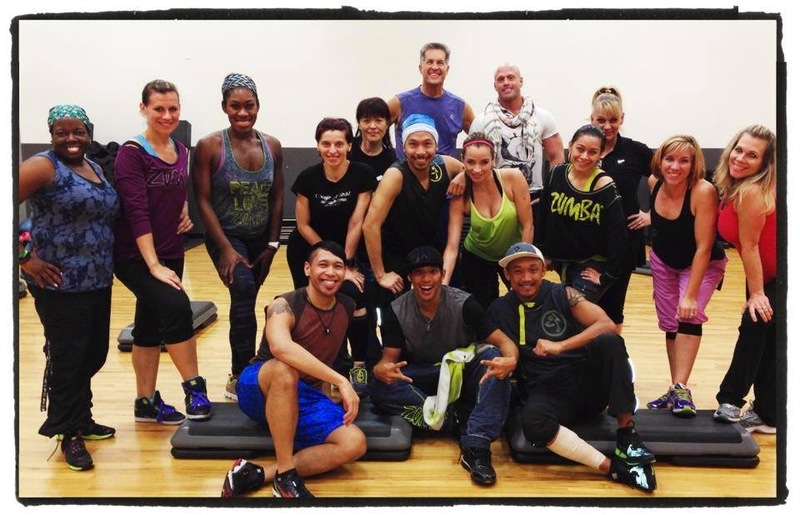 Vegas' first group of licensed Zumba Step instructors! 2. Find an instructor that you can follow. It’s different for everyone and is very personal because this aligns with your personal learning style. Give it a few classes, especially if you like the instructor overall. Yes, there is some coordination involved, so give yourself a break the first few times! You WILL get it, I promise! 3. Zumba is based in music, so find someone that uses music that moves you! The format requires the class to be at least 70% Latin/International, so your instructor shouldn’t be using all top 40s hits, but within that format, you want to connect with the music and moves. No, I never know what the artist is singing, but I CAN tell if I like the beat and want to dance. That’s what makes it fun! 4. Talk to participants in class and make new friends. I always laugh because when I’m doing my introduction before class, 90% of the people are too busy talking to their neighbor to listen to me! I LOVE THAT! I love when people connect through fitness! My participants are truly friends, both with me and with each other. 5. Find an instructor that is focused on you as the student. Yep…anther pet peeve! As the instructor, it’s not about me being the best dancer in the world or showing off how fast I can shake my hips (because, let’s be honest, I’m not, and my hips aren’t that great anyway). It’s about YOU, the participant, and it’s my job to deliver the best workout and to make you have fun so you come back again and again. Does the instructor spend the entire time in one spot, facing the mirror, and never interacting with anyone? It’s not a show, at least it shouldn’t be for the instructor. When you find that person that focuses on you, it makes a huge difference. 6. Find an instructor that is also having fun! Are they smiling? I bet if they are, you will be too! It’s hard to be miserable when you have someone who is having a party right in front of you. 7. Finally, find an instructor that is professional. 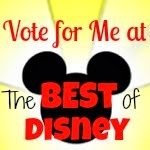 Yes, I jumped back on my soapbox a little, but it goes beyond a Zumba license. I have met instructors who only hold a Zumba license, but are also really professional. They take their job and duty to lead a class safely and effectively very seriously. It’s not only about certifications or workshops, it’s also about professionalism and dedication. It’s about proper warm-up and cool-down; it’s about providing moves that are safe for most populations to perform; it’s about reliability; and most of all, it’s about YOU as the participant. Those are qualities that no piece of paper can verify. A Zumba party at my 24 HF with another awesome instructor! So, how do you find this person? Pretty simple—ask around! 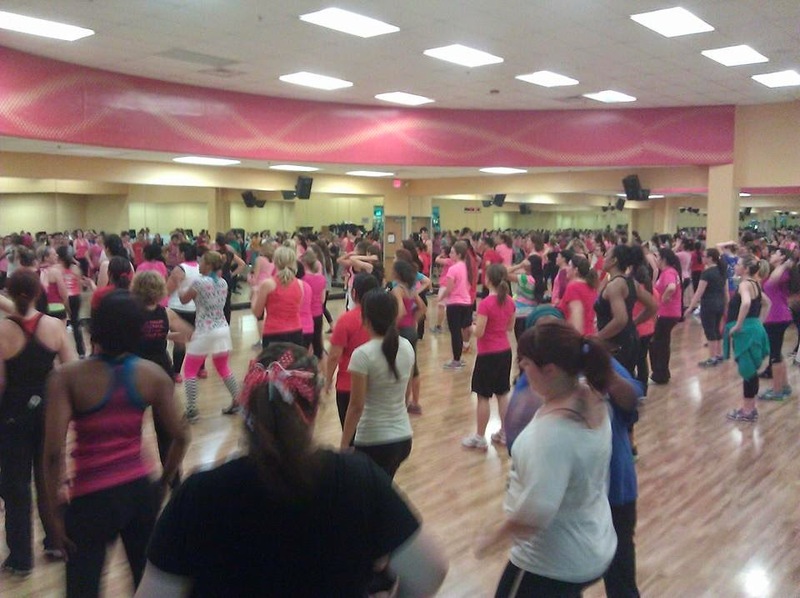 People who love Zumba really, really LOVE Zumba. They’d be happy to tell you about their favorite instructor, who to avoid, who’s great for beginners, who’s great for advanced students, etc. Try a few classes and see for yourself. There are some amazing instructors out there that will have you hooked and coming back for more. So, I gotta know! Have you taken Zumba? Do you think the instructor matters? How did you find your favorite instructor?